DOHA, Aug 16, (AFP): Qatar’s economy has been hit by the sanctions imposed by a Saudi-led Arab bloc but the emirate’s economy is strong enough to survive, analysts say. 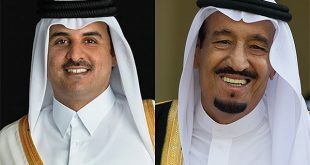 Since June 5, Saudi Arabia and allies Bahrain, Egypt and the United Arab Emirates shut down air, maritime and land links with Qatar, and imposed economic sanctions, accusing Doha of supporting “terrorists” and of being too close to Iran. 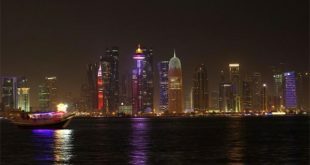 Qatar, denying the charges, accuses its Gulf neighbours of seeking to strangle its economy. 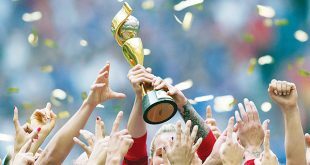 The heavily air-conditioned malls of Doha, a city in the throes of a $200-plus billion construction boom as it aims to make a splash on the world stage by hosting football’s 2022 World Cup, remain busy as ever, as do its roads. To counter the sanctions and trading curbs, ally Turkey and neighbouring Iran have been pouring in food supplies by air and sea. “In the medium- to long-term, perhaps people who live here will feel” the effects, but for the time being, “we haven’t felt any big difference”, said Mohamed Ammar, who heads the Qatari Businessmen Association. For Rashid bin Ali al-Mansoori, CEO of the Qatar Stock Exchange, the worst is already over. The second most highly-capitalised bourse in the Middle East plunged seven percent on June 5 and lost almost 10 percent in the first three days. “We were surprised and the market also was surprised, so the market really reacted to the news like any other market of course,” he said. But “the Qatar economy is very strong, it’s the strongest economy in the region … investor trust and confidence in the market is still there,” said Mansoori. The level, however, remains around six percent lower than during pre-crisis Qatar. And analysts are predicting a long drawn-out crisis which will affect investor confidence, with Bloomberg assessing at the end of July that Qatar’s economy was showing “the strain”. “Data released last week showed that foreign deposits at Qatar’s banks fell the most in almost two years last month as customers withdrew funds, pressuring liquidity available locally for businesses and the government,” it said. Amy McAlister of consultancy firm Oxford Economics said central bank data showed reserves were running at their lowest level since May 2012, a slide of 30 percent compared with June 2016. “Uncertainty will have prompted banks and portfolio investment funds to withdraw money from Qatar, leading to a fall in reserves as the central bank tries to ease liquidity pressures,” she said. Oxford Economics has revised its growth outlook for 2017 down to 1.4 percent, compared with 3.4 percent before the Gulf crisis, and re-evaluated inflation at 1.8 percent, up from the anticipated 1.5 percent, because of higher import costs. Fitch, Moody’s and Standard & Poor’s have downgraded their credit ratings for Qatar. But analysts have faith in the capacity of Qatar, holder of the world’s third-largest natural gas reserves after giants Russia and Iran, to withstand a long crisis. 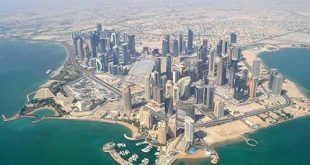 “Qatar is the most resilient country in the Middle East by far,” said Andreas Krieg, a strategic risk analyst and assistant professor at King’s College London university. “They are very determined to see this through. Unlike the other countries, they have the most stable economy and the most stable financial situation. “The per capita reserves they have are the greatest in the world. Even if they have to liquidate some of their investments overseas, they could do but, at this point, this is not on the books,” he said. The tiny emirate with a population of 2.6 million, 80 percent of them foreigners, ranks as the world’s richest on a per-capita basis, according to the International Monetary Fund. It holds a staggering $330 billion in a sovereign wealth fund, with assets heavily invested abroad. “It is worth pointing out that these reserves do not include the foreign assets of the sovereign wealth fund, so the wider impact may not be as significant as the sharp drop initially suggests,” said McAlistair. 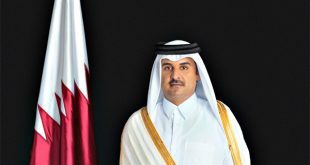 For McAlistair, despite uncertainty over the timeframe of the crisis, “Qatar will likely be able to withstand economic sanctions for many years”.